Visit bobhugin.com and jonmenendezfornj.com to volunteer. Other senate candidates include Murray Sabrin (L) & Madelyn Hoffman (G). Due to limited space, we can only include candidates who poll 15% or higher, but encourage you to check out their websites. To download a printable pdf version of this guide, click here. Hugin – Legal. “Pro-choice.” Opposes late-term abortions unless life of mother is at risk. Menendez – Legal. “Strongly support a woman’s right to choose.” Cosponsored bill preventing medically unneeded restrictions. Campaign Finance: Require political ads to disclose their largest funders? Support Citizens United decision, allowing unlimited corporate political donations? Hugin – No position on disclosure laws or Citizens United. Climate Change: Consider human activity the major factor driving climate change? Limit or tax production of greenhouse gases? Support US participation in Paris Climate Accord despite President Trump’s withdrawal? Hugin – Mixed. “Climate change is real. Humans play a role.“ Also gave $500,000 to Heritage Foundation, which rejects the significance of human-caused climate change & opposes regulations to address it. Says Paris Accord “unfairly balanced.” Didn’t support it as written. Menendez – Yes. “[W]e, as a global community, have to cut our greenhouse gas emissions & the US must be at the forefront of that effort.“ Called withdrawal from Paris Accord a rejection of science. Contraception: Can employers withhold contraceptive coverage if oppose it? Hugin – No stand found. Menendez – No. Women have the right to affordable contraceptive services. Corruption: Scandals being discussed for both candidates. Hugin – The pharmaceutical company that Hugin led, Celgene, spent $2.8 million lobbying to block cheaper generic alternatives to a key drug. Celgene also paid $280 million to settle claims that its drug marketing defrauded state & federal health programs. Menendez – Menendez was charged for allegedly doing political favors for a friend while accepting six-figure campaign contributions & undisclosed gifts like luxury hotel stays. Prosecutor dropped charges after jury hung 10-2 for acquittal & judge said the case didn’t hold up. Senate committee then “severely admonished” him. Menendez – No. To confirm “Kavanaugh with what we know now would be to forever tarnish” the Court’s credibility. Menendez – No. They drive allies “into the arms of our adversaries” instead of addressing China’s economic policies. Hugin – No stand found, but supports expanded charter schools. Menendez – No. They drain money from public schools. Hugin – Unclear. “Will encourage the President to enter into agreements that protect our environment” but are fair for American taxpayers & businesses. Menendez – No. Criticizes disbanding of CFPB’s Consumer Advisory Board. Hugin – Supports some measures, including expanded background checks & barring people with mental illnesses. 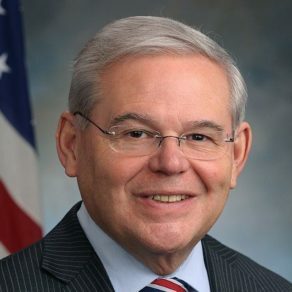 Menendez – Yes. Supports universal background checks & closing gun show loopholes. Voted for assault weapons ban. Hugin – Said Republican repeal effort would be “great for the country.” Keep good aspects of Obamacare like protecting people with preexisting conditions. Immigration: Path to citizenship for DACA (“Dreamers”), who grew up in US after being brought here illegally? Menendez – Yes. “These kids have grown up as Americans.” Also helped craft broader bipartisan immigration bill. Iran: Support Trump withdrawal from multinational Iran nuclear treaty? Menendez – No. “Grave mistake to walk away without a plan” to ensure Iran doesn’t restart nuclear weapon program. 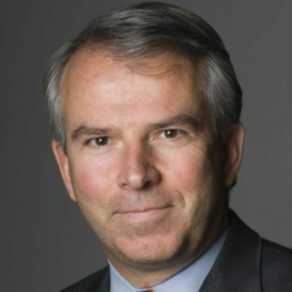 Hugin – Decriminalize small amounts but opposes recreational legalization. Menendez – Urged administration to respect state laws & submitted bill to study states that have legalized. Supports giving pot businesses access to banking services. Menendez – Yes. Supported 2014 bill to raise to $10.10/hr within 2 years. Menendez – Yes. Otherwise higher prices & higher barriers to small business. Hugin – Gave $100,000 to Trump Victory PAC. Menendez – Strongly critical. Called Trump’s racial remarks “heartbreaking, maddening & disgusting.” Voted with Trump 23%. Renewable Energy: Support government subsidies or support for renewables? Hugin – Mixed. Supports research in areas like battery technology, but not direct subsidies that pick winners & losers. Menendez – Yes. Has supported expanding renewable energy credits by cutting oil company tax breaks. Menendez – Hesitant. Concerned that Saudi war in Yemen furthers human rights crisis. Student debt: Refinance student loans at lower rates by raising high-earner taxes (Elizabeth Warren bill)? Increase federal student financial aid, like Pell grants? Menendez – Yes. Supports Warren proposal. Backed America’s College Promise Act making 2 years of community college free. Hugin – Yes. Delivers “real relief” & will spur economic growth & job creation. But would reverse state tax deduction cap. Voting Rules: Prioritize preventing possible fraud, even if this limits access?